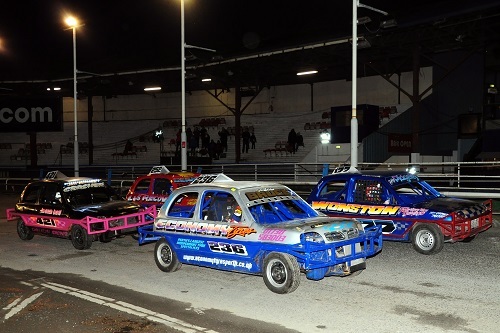 The newest Spedeworth formula, the Junior Stock Cars are based on the Ministox formula for ages 11 to 15, the cars are Nissan Micras, the idea being a more affordable entry formula for youngsters wanting to race stock cars, and with cars and spare parts which are much more easily sourced. 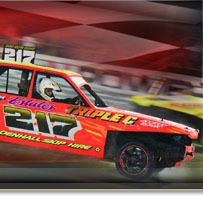 Fixtures for the Junior Stock Cars will be added in due course once enough of the cars being built are ready to go! The above photo shows one of them! Mascot Meeting plus Trailer Race "If It Tows It Goes"